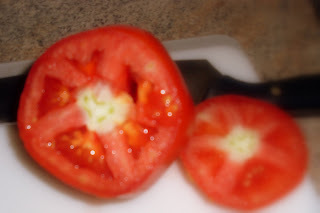 As I sliced my fresh tomato from the farm stand today I found a beautiful surprise, a heart. How perfect since eating tomatoes is good for a healthy heart. This isn't one of my best photos but I just had to post the tomato heart.